Our upgraded club house and Function room facilities were completed in January 2019. We are now available to host your special occasion, business meeting or conference in one of our purpose built private rooms. 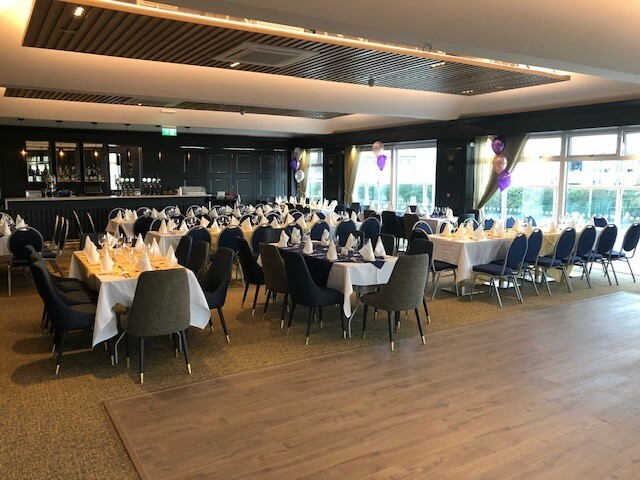 Hosting a family occasion or celebration, talk to us about hiring The Castleknock Lawn Tennis Club Bar and function room. We are able to host your special day whether it be a birthday party, anniversary, christening. Facilities include a private function room capable of accommodating 100 people formal seating. Full bar facilities onsite. We also are able to accommodate conferences of all sizes including private meeting rooms or function areas. Contact us today to discuss availability and your requirements.